Talking about a little place called Aspen! Our Aspen Snowmass Sitters are fun and experienced! They will keep your children active and entertained as you enjoy a day of hiking, skiing, fishing, or a night out at the finest restaurants! Reservation Fee (paid directly to Resort Sitters via QuickBooks invoice) prior to booking, based on length of appointment. Hourly Rate (paid directly to your Sitter in cash) at the end of each appointment, based on number of children. Are the kids wound up? We suggest the kids take a walk through one of Aspen’s many public areas: a wooden playground at Triangle Park near town, or head to Art Park where you can find outdoor sculptures along the Roaring Fork River. Walk or ride the free town shuttle to Pitkin County Library for some educational fun! Their StoryWalk combines a children’s story with physical activity, or check out Lego Club on Thursdays – always a good time! Grab a gondola ticket for the little ones! Head up the Silver Queen Gondola for giant lawn games, an obstacle course, and more! At the top of Elk Camp at Snowmass find some nature hikes and spectacular views. The Aspen Art Museum has programs and events for children of all ages, or be intrigued by some quirky history at the Wheeler-Stallard Museum. Head to the indoor water slide at the Aspen Recreation Center, or just hunker down for hot chocolate and board games! 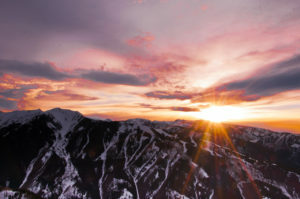 REQUEST YOUR ASPEN SNOWMASS BABYSITTER NOW!